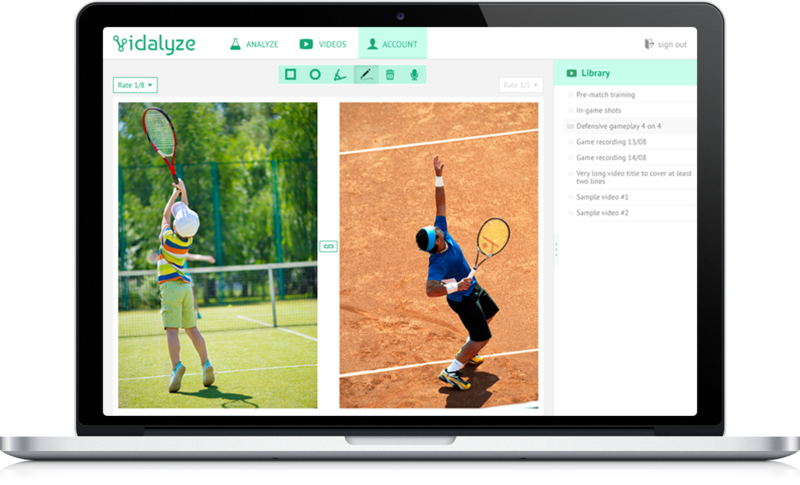 Vidalyze is different to other video analysis products in that it works 100% inside of your browser. No software downloads ever mean you're always up to date & ready for action. With one click you can measure the angles of anything you like in your videos. An easy way to teach biomechanics or other theoretical concepts. With one click you can turn your analysis into a screen recording that includes your voice & annotations in a video automatically shared to the teacher. Use mobile apps for iPhone, Android to record videos and have them ready for analysis in your or your students Vidalyze accounts. Vidalyze has been designed from the ground up by a teacher for teachers. The only end to end solution that makes video analysis a truly scalable experience in your school. Import your videos from Dropbox, Google Drive, OneDrive or upload from your computer. Easily annotate over the top of your videos to highlight points of interest. Easily share videos for analysis with individual students, your classes or the entire school.. Easily take your game to the next level with a dual video analysis making it possible to complete side-by-side comparison against the professionals.. Grab The Free Trial Now! Trial the full Vidalyze experience in your school before so that you can be sure it meets your needs. Chat LIVE with the Vidalyze team using the chat widget in the bottom right hand corner. We love to help.